I came to Lawson Park with very little idea of what to expect from volunteering with Grizedale Arts - I decided to volunteer because I was aware of the organization through family connections with the area and wanted to find out more about it. I was immediately impressed with how much was going on - no two days were the same and every day was very busy. 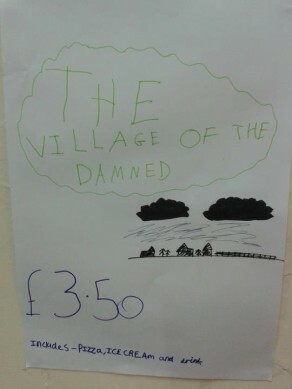 The jobs I did ranged from feeding the pigs to archiving the library, making pizzas with the youth club (and the film poster, as pictured) or doing the ironing and making beds, and every job was made interesting (even the ironing!) because of the people I was working with and I learned so much just by being involved. 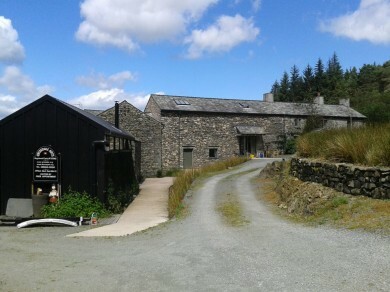 What I found most interesting about working at Grizedale was the sense of a community working together, both at Lawson Park and within the village, And the feeling that everyone there is valued and has their own important role in the day-to-day running of the organisation. At mealtimes visitors, artists, staff and volunteers all ate togther and discussed what they had been doing and at the institute people from all aspects of life in the village were involved. 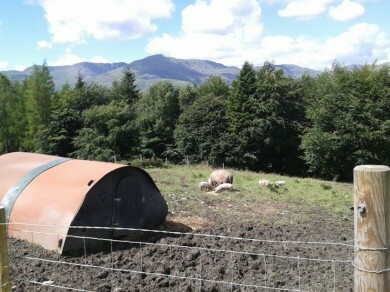 Overall the week was a very good experience which I hope will not be my only time at Grizedale Arts.